We all have heroes, but not all of us get to co-write a song with them. 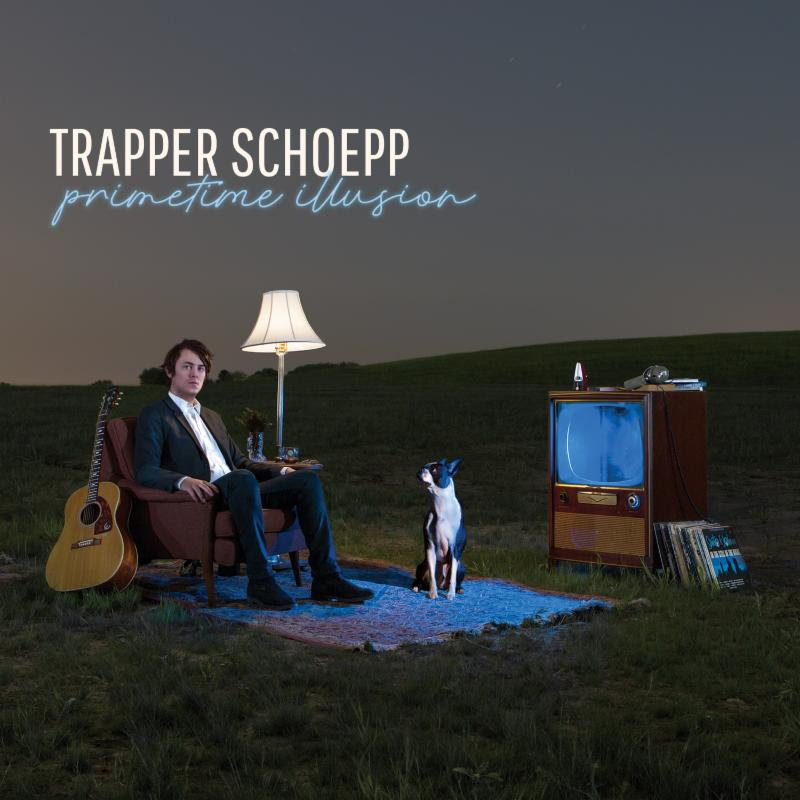 Trapper Schoepp got to do just that on his latest record, Primetime Illusion, and not with just any old hero. 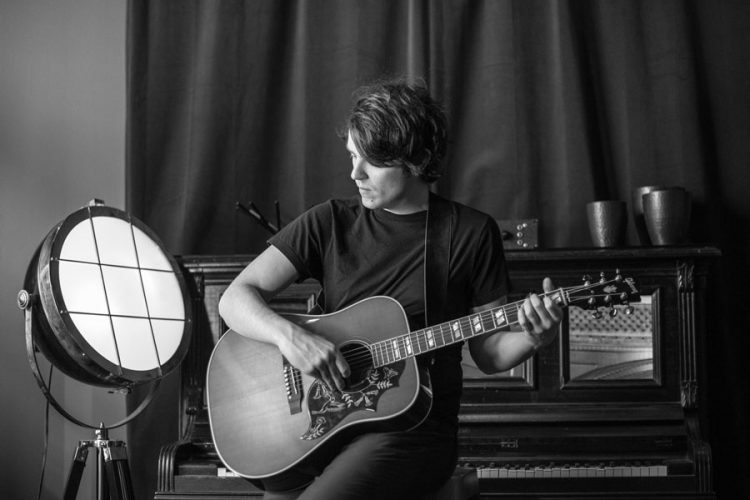 No, Schoepp has co-written a song with none other than Bob Dylan. 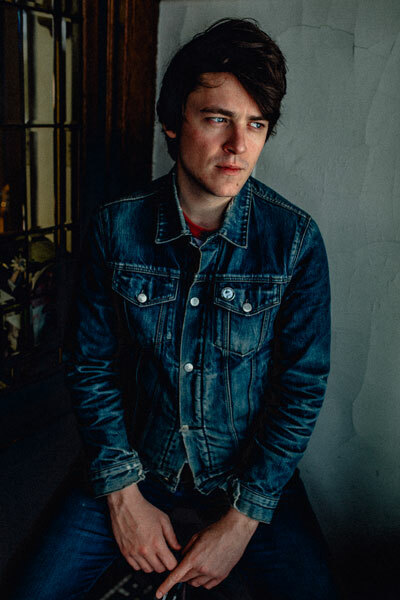 The young songwriter from Wisconsin has three great rock and roll records under his belt already, but combining with Dylan across the decades to complete a long, lost song seems to have raised his game even further. 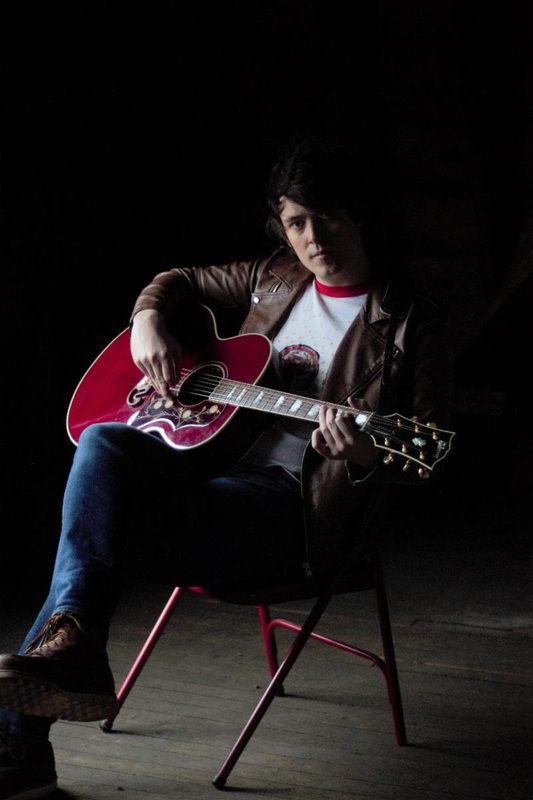 Schoepp took some time out of a trip to NYC to chat with us about Dylan, the new record and his outing to see Springsteen on Broadway. You went to see Bruce on Broadway the other night. ​I really think it speaks to his artistry that he is able to hold a Broadway audience for two and a half hours with largely his songs, which tell his life story, right? I can imagine. As an artist, going to see something like that, do you come away feeling like you've learned anything you would take to your own shows? ​Yeah, of course. What exactly, is tough to say at this point. It'll just take some time to process. I always walk away from a Springsteen show feeling like I've taken the world's most incredible drug that's just made everyone in the vicinity love each other. What feeling are you left with after the Broadway shows? ​Let me just steal your phrase. I think I was left with feeling like I'd just taken the world's most incredible drug. ​I'd better not be! We just started the press campaign for it, so I'm very excited to talk about it. How did it come about that you have a co-write with Bob Dylan on your record? ​Well, I was reading Rolling Stone one day and I see this story that says “Lost Bob Dylan lyrics about Wisconsin found” and I immediately just was shook by it. I went into my kitchen, made a pot of coffee, and went over to my baby grand piano, which I had actually just been gifted by a stranger. A 100-year-old baby grand piano. That's a hell of a gift. Yeah, I know. I sat down at the baby grand piano that serendipity landed in my lap and I wandered off into a dream-like state that I think a lot of songwriters drift into, sort of a fog, when you're trying to imagine a character or a voice. The character I was thinking of was the character in the song, which is a drifter sort, who's pining for the dairy state, which is Wisconsin, my homeland where I grew up. He's thinking about our finance exports, which are milk, cheese, and beer. And when I was thinking about the music part, I wanted it to be sorta like a waltz. I've said before it's like a train car. And from there, we went in the studio and we finished the song. Then we put it out there on the Internet. I didn't think anything of it. I was sitting in bed one night, and I had an email that would change the path of my life, you could say. It just said, “Dylan has it now” Dylan had gotten the song, or let me rephrase that: Dylan's people had gotten the songand they were considering making it an official co-write publication with him. Months and months went by, and then finally I was in the grocery store, and I got the word that it was happening. And from there, I just ran in circles, very, very joyous circles around the grocery store. But there's a very stunning, pretty significant revelation that I've had about the song, which is, in the upper right-hand corner of the lyrics sheet, it says, “11/20/1961” that is the same date that Bob Dylan stepped in Columbia Recording Studio to record his first album. ​I just realized that about a week ago. We haven't really made that public yet, so hurry up with your piece. So you can imagine what kind of frame he was in writing that, or where he was when he wrote it, right? ​Yeah, well there are two songs on the album: ‘Highway 51’ and then there's another one called ‘Talking New York’. Highway 51 runs through Wisconsin. ‘Talking New York’, we know what that's about. So I kind of feel like on this Wisconsin song, was maybe meant to connect the dots, almost like a travelogue or something. I'm thinking about how it got out to New York. But I don't want to overanalyze it. I don't want to lift the veil, because that's what I love about Bob Dylan. He's a mystery, he's an idea. I don't think of him as a person. He's a shape-shifter. He's a chameleon. He's a folky. He's a song. That makes sense. It kind of seems like it's a meticulously crafted veil on his part as well. He'd much rather be seen that way. Have you had any direct contact, written or otherwise with him, or has it just all been through his people? ​No, no. I'll leave it at that. They signed off on it. That's it, you know. That’s good enough for me. Apparently you were going through quite a tricky time with this record. Did this song end up influencing where it went from that point? ​Of course. It just pulled me out of a hole. We all have those moments, whether you're a carpenter, whether you're a postman, or whether you're a songwriter. We all have those moments that help give us a sense of direction, help us get through the day, and help us move forward. So this was a big one for me, obviously. And in terms of art, having one of my biggest inspirations go on the books with me in a long-lost song about my home state is incredibly serendipitous and remarkable. What was the thinking behind bringing in Pat Sansone from Wilco to produce?I think Pat brings a lot of different colors and textures to Wilco, and I've been seeing that when they play live, and hearing that on the records. Being a singer-songwriter, you really need someone like who can bring out different sides of your craft, basically. ​Yeah. I guess you could say it's not overcooked. Was that a feel you were going for, or is that just something that was serendipitous through Pat's influence? ​Yeah, we wanted to let the songs and the characters within it speak for themselves. So that was really important, because there's a big worry with me that in the past I let things get overcooked, and that you have so many layers on that you miss the point of what you set out to do in the first place with an acoustic guitar. ​So seeing that, we brought in Pat, and he was so conscious of making it happen with the bare essentials. Do you feel that paring it back like that made it easier for you to finish and let go of the record? ​Yeah, of course. We've never had so much fun making an album. It was pretty in and out: 10 days. And that's kind of the way I like to do it, because if you begin to dwell over things you lose sight, for me personally. I need to stress that, of course. For me as an artist, if I begin to sit and overanalyze my own craft, it almost just becomes a bit too fussy and too much. 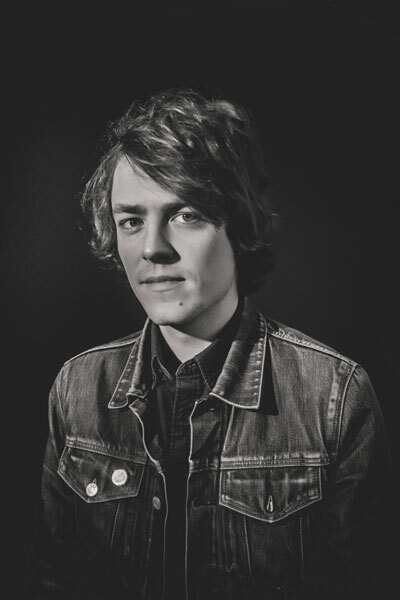 I'm a singer-songwriter. There's only so many layers or so many things I can tinker with to try and bring out a song in a certain way. That's just who I am as a songwriter. Does that apply to your actual writing of the song as well the recording and production side of things? ​Yeah. There's an element to me that's first thought, best thought, that sorta beatnik idea. 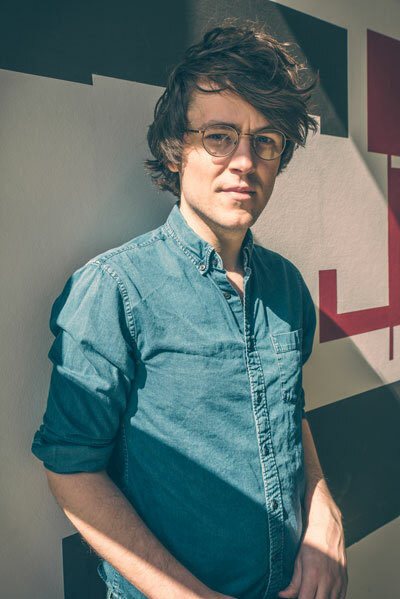 But I also have been writing with my brother, Tanner Schoepp, since I was a kid, and he's a great editor. I think every writer does need an editor. Well, other than the greats, of course. But it is nice to have another honest voice to kick the hacks out. Does that lead to any tension between you as brothers? ​No. We let each other know how we feel. To say the least. Your records feel quite timeless. Is that something that you're aiming for, records that don't sound like they were made in a particular year? ​Exactly. I do want to say, there's so much solid rock and roll being made in 2018. I do like looking back, though. There's so many good records that I've just not even touched yet. 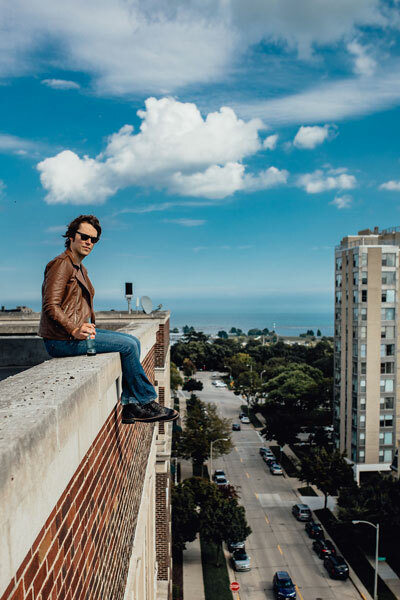 I think part of me is always looking forward and listening to what's new, and the other part of me is always looking back, and trying to take a deeper dive into the things I love: records by Randy Neuman, Warren Zevon, Jackson Browne, Fleetwood Mac. And then at the same time, keeping up with new artists like Jenny Lewis or Courtney Barnett or Phosphorescence. It won't happen for you as a musician, because you really do need to be listening to the people that are making music while you're alive. You get a lot of these bands who get trashed for sounding too much like a copy of something gone by rather than having anything fresh to say about it. ​Yeah. It's part that. I just think it's good to be inspired by things that are new. Keep it fresh. Like I have this song on my record, ‘What You Do To Her’, and it's about the sexual assault epidemic happening worldwide. It's been happening since the beginning of time, but we don't have a lot of music by male artists that touches on the subject. I think men have stood on the sidelines for too long on this issue. I wrote that song to show solidarity with women, and also to call out what I see as terrible and ugly behavior, which I think is an obligation of all people. So I think you have to sorta focus in on modern topics, and use whatever sort of timeless sound you want, and so that's for me, classic meets contemporary, if you will. Do you think the male artists standing on the sideline so much is due to a kind of fear of looking too hard at their own behavior? ​I will say that I think men need to get educated, get involved, and evolve. And yeah, I just think men need to change, and admit and be accountable for their past actions, and move forward. There will be no change unless people are accountable for their own past actions. Accountability is key. Whether that's in a personal sense or a public sense. I think men need to wrap their heads around these issues, because any decent person should be very upset by all this. There seems to be a bit of recurring theme through Primetime Illusion of people who either aren't living their best lives. Was that a running concern for you when you were writing these songs? ​Yeah, I think the album is dark snapshots of American life. ‘Shakedown’ is the story of a young pilot who is anxious to ship out to war. ‘If All My 9s Were Xs’, is the story of a young bowler, as ridiculous as that seems, who's big time in the Midwest, but he goes down to Texas, and realizes that he's a small fish in a big pond. And ‘TV Shows’ is a song about a person who's addicted to television. These are all stories that feel a little bit American to me. You've got a European tour coming up next year. How is touring for you? For me, there is no record cycle. It's a life. I've chosen this path. It's not, you start at this date, you end here. It's a life for me. I've chosen this path, and this is what I do. I like European crowds in particular, because they really shut up when you play. In the UK, people like to engage a bit more, and they worry a little bit less about being cool.